Very desirable townhome with 3 bedrooms, 2 baths. Features include a convenient floor plan with 10' ceilings, lots of windows, split floor plan.Kitchen has granite countertops, crown molding, stainless appliances and much more. The backyard backs up to a greenbelt and features a fenced patio area. 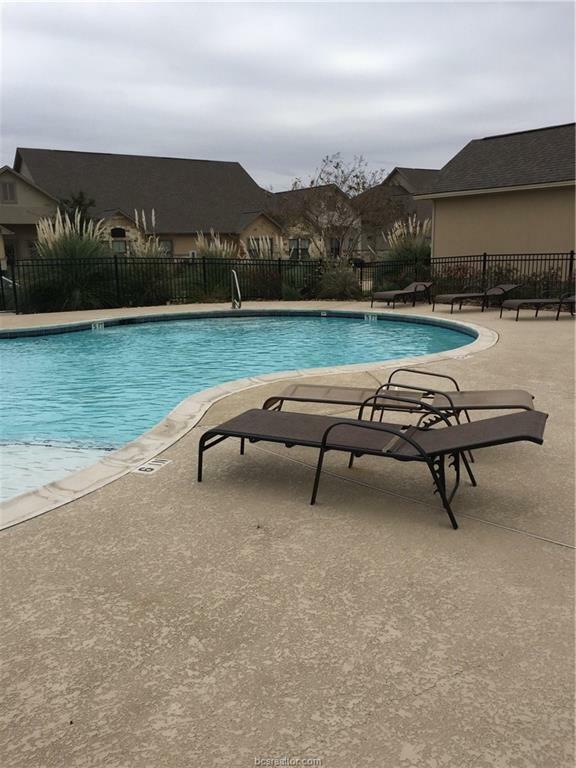 Enjoy the community pool just a short distance away. Listing information © 2019 Bryan-College Station Regional Multiple Listing Service. Listing provided courtesy of Linda E Praytor of Town & Country Realty.